Suicides among soldiers in the Israel Defense Forces have doubled in 2014, according to an official report. The Israeli military has denied any connection between the upsurge and the escalating Gaza conflict. Accoding to the report released by the IDF Manpower Division, 15 soldiers took their own lives last year, more than twice the seven suicides in 2013. Manpower Division Chief of Staff Gen. Gadi Agmon stated in the report that "there has been an increase in cases of suspected suicide." He said there was an investigation for every suspected suicide. Suicides in the IDF reached a high five years ago, with 30 suspected suicides in 2009, Israeli news source Arutz Sheva reported. Since then, there was a decline, until last year. Fourteen soldiers committed suicide in 2012; 21 in 2011, and 28 in 2010. Agmon said the IDF has implemented a variety of measures to reduce the growing suicide rate, including cutting down access to weapons, as well as staging workshops to help soldiers detect early signs of depression. "We have reduced the number of weapons per unit, but we must remember that there are other [factors], as in incidents of hanging and jumping from tall buildings," Arutz Sheva has quoted him as saying. "I call on the Civilian Advisory Committee, which examines suicide cases in general among teenagers and adolescents, to consider more options [for working against suicide] over the next few weeks." Military sources insist that last summer’s Gaza war did not serve as a catalyst for the higher number of suicides among soldiers. 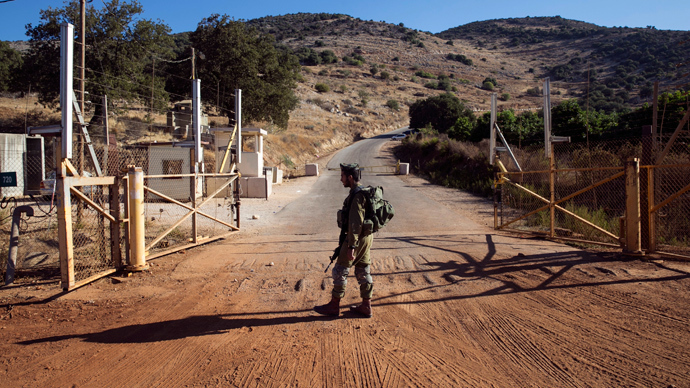 “We have not noticed any link between cases of suicide and army operations,” a senior officer in the IDF Personnel Directorate said. The report indicated that 105 soldiers for killed "for various reasons" during the course of their military service in 2014. Of those, 66 were killed during the so-called Operation Protective Edge against Hamas in the Gaza Strip. Earlier this week, Palestinian Authority envoys delivered signed documents to the United Nations, seeking to join the International Criminal Court. This could see the court to take jurisdiction over alleged war crimes committed in Palestinian lands. Neither Israel nor the United States belongs to the ICC. According to the chief Palestinian observer at the United Nations, Riyad Mansour, the Palestinians have requested retroactive ICC jurisdiction "with regard to the crimes committed during the last war in Gaza." Israel said it may file its own war crimes suits to foreign courts against top Palestinian officials and freeze the transfer of monthly tax revenues to Palestine in response to its application to the ICC. An Israeli official told AFP that Palestinian president Mahmud Abbas, his Palestinian Authority and other senior officials may be sued by Israel in courts in the US and other countries.